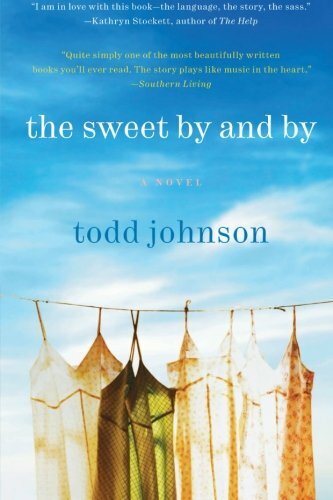 Todd Johnson’s debut novel is not to be missed. This tale of five ordinary southern women will touch the reader’s heart. Set in a nursing home in rural Johnston County, N. C., the main character, Margaret Clayton, is a feisty elderly woman who lives there. She is filled with dignity, wit and the grace she was born with as the daughter of North Carolina tobacco farmers. Though infirm from painful arthritis, she can still spar with others offering intelligent commentary, displaying integrity and independence. Just ask Lorraine, the God-fearing African-American practical nurse who takes care of her. Lorraine, a humble but venerable middle-aged woman believes in treating the elderly—even those suffering from dementia—with complete compassion and respect. She and Margaret exchange many dialogues, keeping them both on their toes and bonding through trust to be forever friends. Lorraine has had a hardscrabble life. Married to a good for nothing drunk who was responsible for the death of their infant son, she left him to raise her young daughter April after she had had enough. She moved back in with her mother and put herself through nursing school to make a better life for her daughter and herself. April was raised to be confident, benefiting from her mother’s hard work to receive a good education and pursue a medical degree and become a doctor. Though independent and unconventional, and making what many would consider some horrible mistakes, April is nonetheless the light in her mother’s eyes and can do no wrong. Then there’s Bernice Stokes who also lives at the nursing home and whom Margaret has befriended though Bernice’s mind is gone. Clinging to a stuffed animal monkey, never letting it out of her sight, Bernice has tantrums when her “Mister Benny” is not clutched tightly in her arms—making the reader wonder about any painful past occurrences—and though introverted, she is a warm and lovable character. Rhonda, the young beautician who does the ladies’ hair once a week, has never had any kind love or compassion in her life, especially from the grandmother who raised her after her mother ran off. She is drawn to Margaret, Bernice, and Lorraine and finds the love and acceptance she missed growing up. The wonderful account plays through the years in the lives of these unforgettable women, touching on the mundane and the precious. It incorporates five diverse characters leading ordinary lives, showing love, empathy and the meshing of unlikely friendships. Margaret, raised in a high-class yet hard working environment, is filled with compassion for her fellow human being. She offers love and acceptance, no matter what the other’s station in life, as is evidenced by her relationship with Lorraine and Bernice. Though these women have had different lives, hardships and heartaches, this story proves our need for love and acceptance by all. Mr. Johnson has based this tale on his own grandmother, of whom Margaret is based. Drawing on several childhood visits with his grandmother, witnessing her love toward others and her own frailty, as well as his close, loving ties with her initiated this moving tale. He has included the local dialect and native customs, which enhance the plot with very believable and likeable characters. His apt descriptions are right on for central North Carolina, and he brings the reader into the story, making us feel related to the characters and a part of the scenery. This story left this reviewer both laughing and crying.